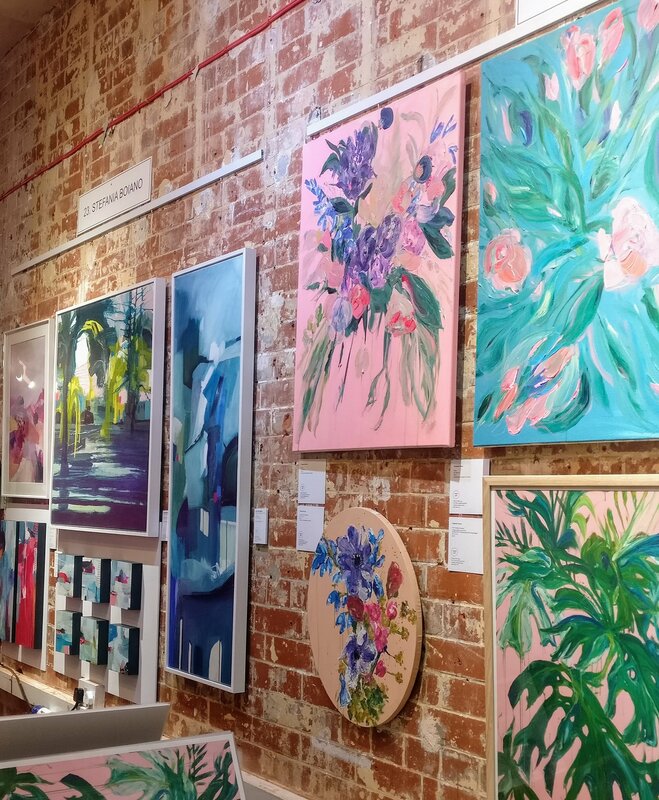 Roy’s People Art Fair lands at The Bargehouse in Oxo Tower Wharf, a space with lots of exposed brick work and stripped back lighting that’s very atmospheric but not very spacious… Having said that, there are plenty of artists packed in! 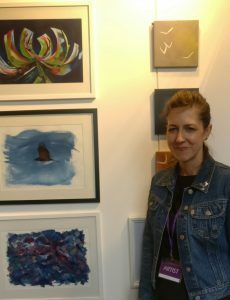 A lovely selection of abstract works was on offer from Alanna Eakin, as well as some startling oceanic blues from Eleanor McKnight. 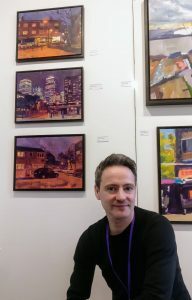 There were also some fabulous impressionistic pieces from Luke Langthorne available – in a variety of sizes that are almost reminiscent of cityscapes. 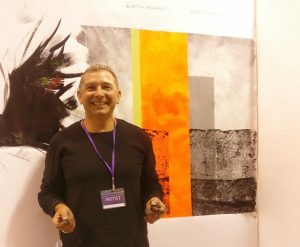 ArtCan artists on show included Hamish MacCaulay with monoprints popping with brilliant oranges, pinks, greens and gold, Edmund Palao with urban landscapes popular with Londoners and tourists alike, Ian Butcher with intricate collage illusions, and Arturo Garcia de las Heras with bustling illustrated scenes. Some great pieces focused on wildlife were on show too. Lucia Hardybrings some vivid pieces inspired mostly by birds, including her ‘crow muse’ and a large red kite. 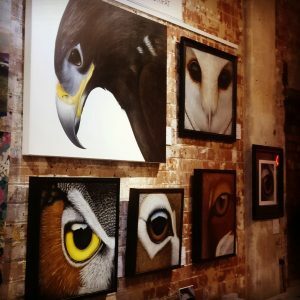 Ayse Rifat also showcased a range of pieces focused on the eyes of various birds, including owls and eagles, and Melody Travers brought along delightful and colourful animals, both originals and prints.Chris Congreve also featured wildlife, but with a message – there’s still time to save our natural world if you put your mind to it. Tersoo Maria Agera of TMX Designs also had a great range of original drawings and prints on show, including detailed line work as part of her growth and decay series. 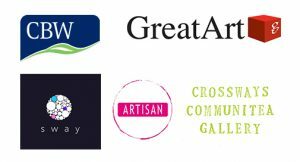 You could also catch the artist herself, sketching away, along with some live painting and live screen printing elsewhere in the show. All in all, an enjoyable sojourn a stone’s throw from the Southbank – looking forward to the next instalment!